Architecture is a weird, narrow thing. I always had this sense that there must be a way to make design more useful. There was this gap between design as a way of thinking – which is all the invisible stuff you don’t see that matters – versus this quite superficial industry selling shapes to very rich people. It took me a long time to unpick it in my head. I accidentally became a design economist. Britain is the sixth wealthiest country in the world, yet it can’t house its citizens, so something is systemically wrong. Even supposedly developed countries have a housing crisis. I began to think about why. I cried when I first read John Turner’s book ‘Homes by People’. The book unpacks the dumbness of our current housing systems, and why they don’t work – and he wrote it in the 70s. There are several moments where he essentially even says: “if only we had the tools to make these centralised methods more scalable.” It honestly brought me to tears to think we’ve known this stuff for so long, and yet only now is it beginning to happen. There is only one design idea that you really need – democracy. In the most literal sense, ‘demos – kratos’, which means ‘people – power’. Lots of people believe democracy is just a form of government. It’s not. Democracy is a design diagram, how you push as much of the rights and power as possible to greatest number. Even, electrical power. Basically, physical stuff is about to get Napsterised. And that’s what has been called The Third Industrial Revolution. 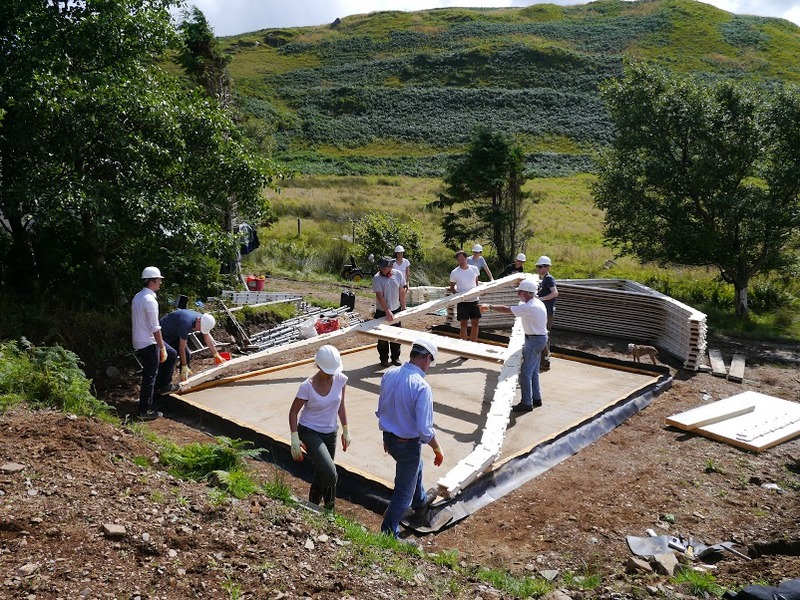 At first people thought WikiHouse was just a bunch of people messing around with plywood. What it’s really about is many designers coming together to build common building systems, which are then shared, like code. 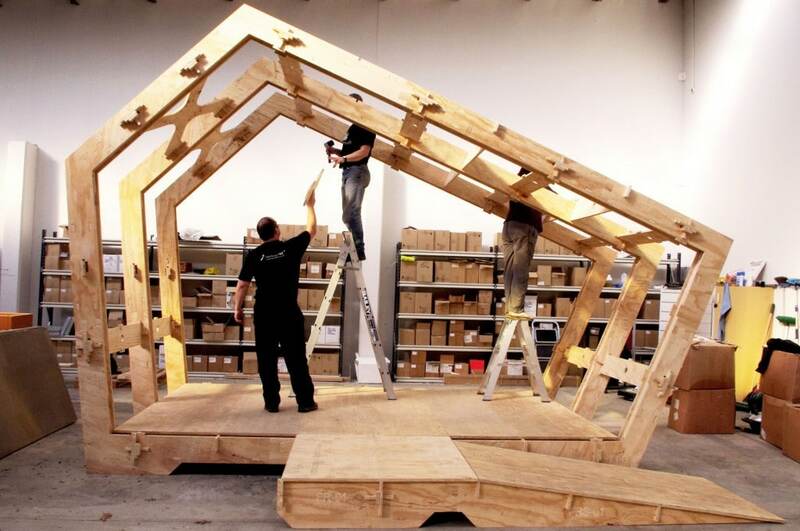 WikiHouse is the mother of all Ikea kits. It uses digital tools to change the ‘too damn difficult’ problem, by lowering thresholds to customise, print and assemble things. We are the one group we’ve yet to really take seriously as an industry. Everyone talks about making more energy efficient houses, but there is only one group who actually have an incentive to put more insulation in the walls, and that’s the person who is going to pay the heating bills… us. Open source is just a way to say “this belongs to you, now go and improve on it.” Solutions are licensed in a share-alike licence, which means that anyone can take those solutions and do what they like with them, but any improvements they make to the system must be reshared back to the community. The name ‘Wiki’ comes from Hawaiian. It just means quick (which the system is), but more it has become a standard ‘type’ of system on the web. ie. Open to everyone, edited by anyone. 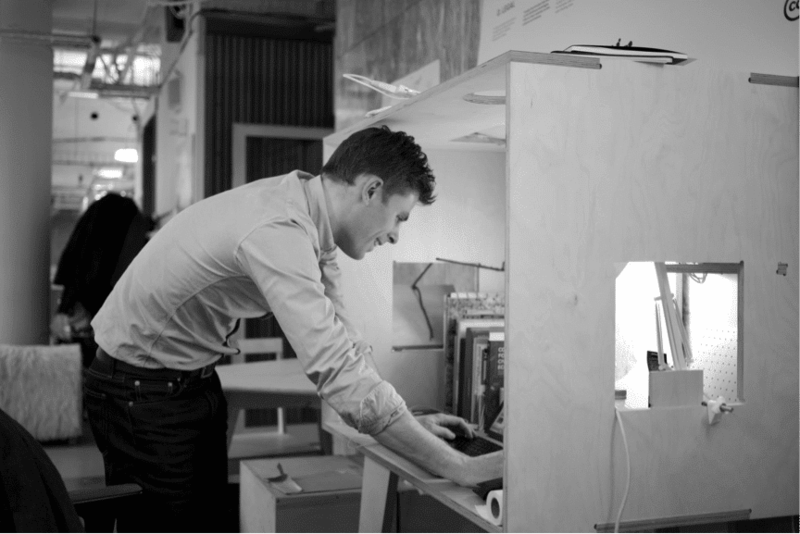 WikiHouse will become like an Airbnb for construction. 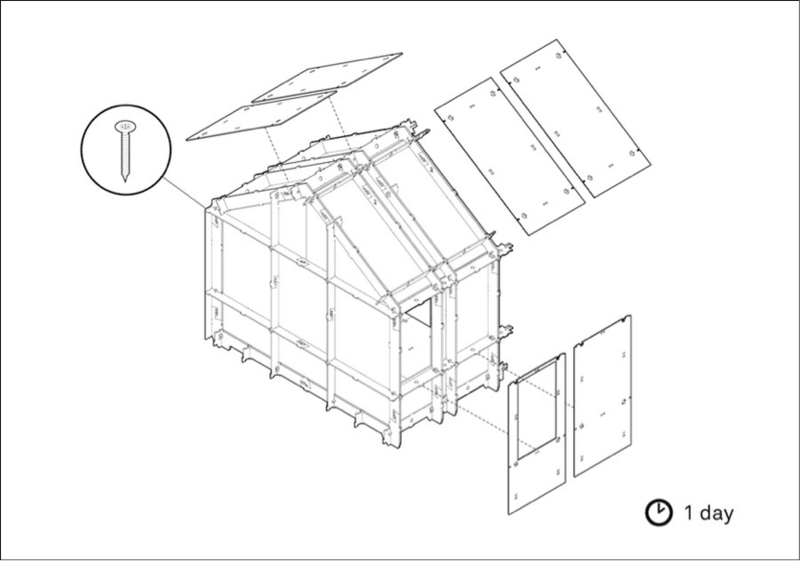 The difference in length between a WikiHouse and its computer mode is usually about 5mm. Generally you’d need a German company to get that kind of precision. But it can be made by amateurs in days. Capitalism doesn’t just go away and say: “Oh sorry, dear, I’m off.” It looks for the next thing to own. Not that long ago, the idea that you could ‘own’ a joke would have been… a joke. If you think the legal battles over music and videos have been bad, just wait until it’s the whole manufacturing industry. If you ever feel like you don’t know what’ important, read Larry Lessig. He is one of the great civic thinkers of our time. He’s currently working on campaign finance reform in America. Just google MAYDAY.US. And support him. Your mind is the last piece of real estate on earth. Google say they can now predict within 90% accuracy whether a relationship will work or not, based on your social media profile and behaviour. We’re very close to the point when companies sell their ability to alter your behaviour. In fact we may already be there. Technology tends to get shaped by sci-fi, because they get time to think things through in advance. Unfortunately a lot of it is dystopian, so we end up accidentally engineering the most dystopian ideas because when the technology does come along, that’s the first available model to call on. There is a great Albert Einstein quote . He says: “If I had an hour to solve the world, I’d spend 55 minutes thinking about what the problem was, and only 5 actually solving it.” Quotes are useful because they are compacted wisdom, they don’t take up much room in your mental hard drive. The most inspirational thing you can do is not get on a stage and give a TED talk. It’s being able to turn around in a few years time and say ‘we earn a living doing this.” There’s a whole generation of young designers who already want to work differently, we just need to show there’s a way of pulling it off. When you see the word ‘smart’ before something… you know something stupid is about to be said. I’m obsessed with farming and food production. We’ve only seen the beginning of the crossover between open source robotics and micro-farming. It’s taken too long because in a Venn diagram of ‘people interested in robots’ and ‘people interested in permaculture’, there was traditionally not much crossover. That’s changing. We have loads of apps that do stupid stuff. Don’t get me wrong, I think the world is 80% happier because of kittens on YouTube, but it bothers me that we put so much time and money into apps that do pointless things. Alastair Parvin was talking to Atlas Editor Lisa Goldapple. 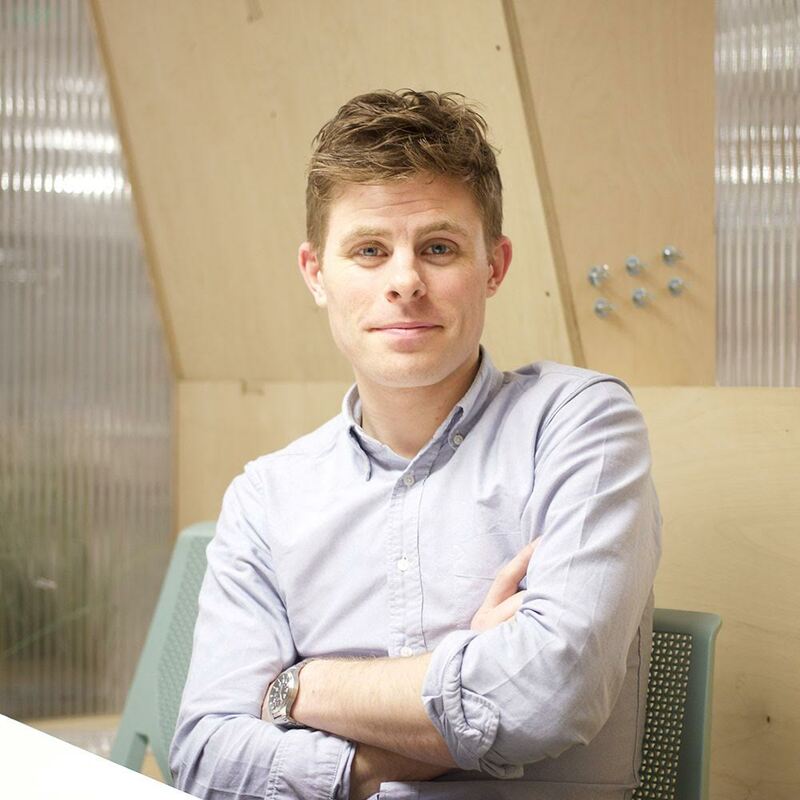 Read about the architect’s favourite disruptive projects in his AtlasChart top 5 and more about WikiHouse here.